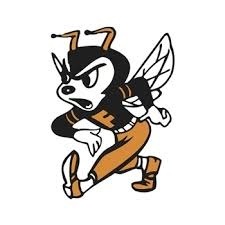 The Fredonia Yellow jackets hosted their first round playoff game last night on their home field. It was a tough test as the 6 and 2 Anthony-Harper-Chaparral Roadrunners came to town with a very talented offense. From the beginning it was a game Fredonia wishes they had another chance to play. The Roadrunners were able to establish their play style very quickly which was the big play. QB Jake Burke for Chaparral went for 7 TD last night, 4 through the air and 3 on the ground as he was the majority of the offensive production. Fredonia defense was unable to stop all but a few drives that Chaparral had and then could not respond. Turning the ball over twice on a kickoff and many other times throughout the evening has Fredonia's offense looking a bit lost as well. The yellowjackets were a team all year that played very well on both sides of the ball and just simply got beat last night losing 55 to 0. Coming out flat footed at this point on the schedule will come back to hurt you as it did for Fredonia. Yellow Jackets finish their season at 5 and 4.